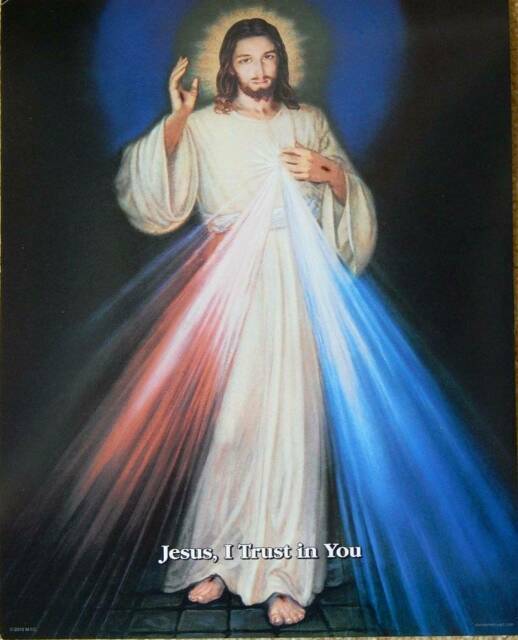 Mary, Queen of Peace will celebrate Divine Mercy on Sunday April 28 from 2 to 4 p.m.
Saturday April 20: 3 p.m. The Knights of Columbus will host an Easter Egg Hunt on Saturday April 20 at Mary, Queen of Peace. 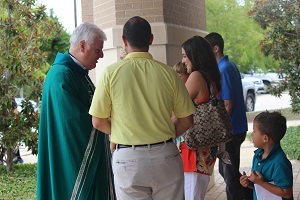 If you are traveling and want to find the nearest Catholic church near you with Mass times, just click here! To make your life easier, Mary, Queen of Peace invites you to register with My Own Church, which gives you access to your family information and your giving information. Click here for a how-to slideshow! As requested in our Suggestion Box, here are a few friendly reminders about Church Etiquette. Thank you and God bless! Fr Ronnie has chemo treatments at MD Anderson every 3 weeks. Fr. Ronnie Calkins, our former pastor, appreciates all of the love and support from Mary, Queen of Peace. Please continue to keep Fr. Ronnie in your prayers along this journey. Find out about the artwork and more in our church by clicking here.